It’s been stated that the unique motion of our shoulders long ago separated us from other animals and made us dangerous enough to hunt and survive. Well, today our shoulders are still not only instrumental in everyday life, but sports as well. Strength and range of motion are critical to hitting a golf ball well, throwing a baseball or football, or hitting a tennis ball among a host of activities. Recently I discovered an ingenious little device, The Rotater, which addresses our shoulder’s health, flexibility, and strength. The Rotater is a portable lightweight plastic device that comes with both Velcro and plastic tubing to create stretching/strengthening exercises. Whether you are pre- or rehabilitating, your shoulder strength and range of motion is so important to everything you do. The Rotater addresses these. That said, unless I had watched the accompanying video, I never would have figured out how the device works, but with the brief instructions, it’s all very simple. Not only are the exercises and stretches explained, so too is the physiology behind the need for these. It’s all very informative. 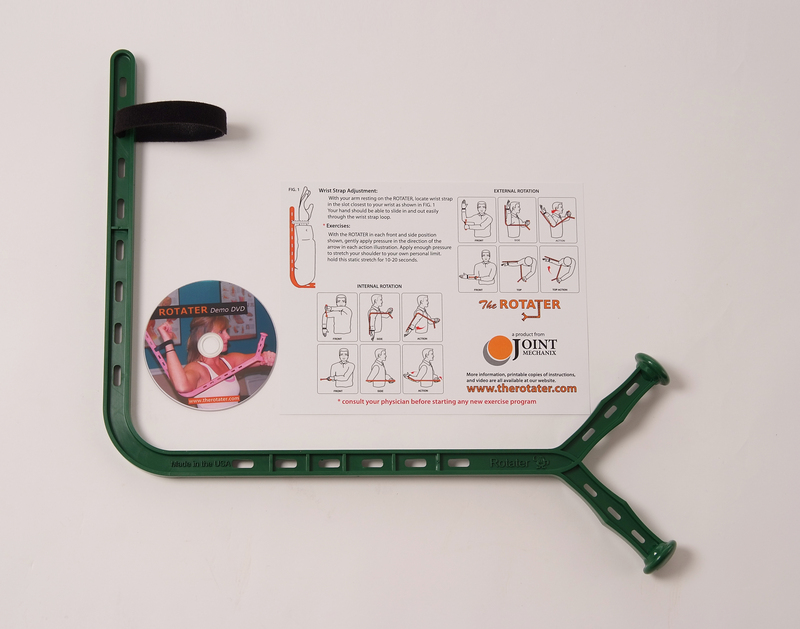 The Rotater is also used extensively for shoulder rehabilitation and allows post-op patients, athletes, and breast cancer survivors to supplement or continue their shoulder therapy at home.